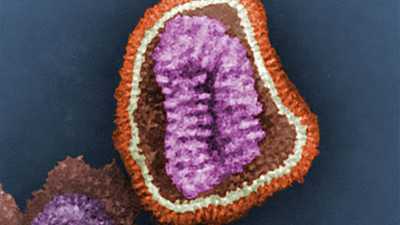 While possible origins of this influenza were debated and investigated, one fact remained inescapable: it was deadly. 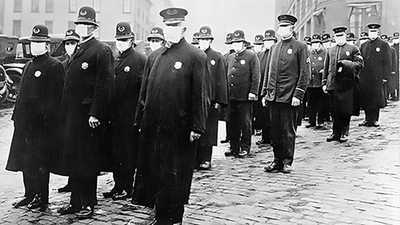 Lacking reliable medical defenses against influenza, public health officials and private citizens poured their energies into taking preventative measures. 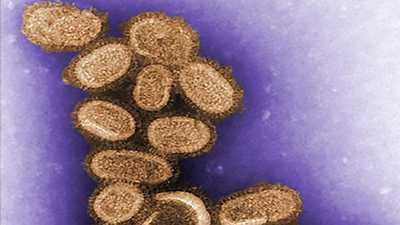 The United States Public Health Service (U.S.P.H.S.) faced the challenge of educating the public about an illness that was largely a mystery. To that end, the Red Cross, Post Office, and Federal Railroad administration all did their part to assure that instructive posters adorned the entire nation. Surgeon General rupert Blue, the nation’s Chief Public Health Officer, ordered the printing and distribution of pamphlets with titles like, “Spanish Influenza,” “Three-Day-Fever,” and “The Flu.” The Colgate company pitched in by placing ads detailing 12 steps to prevent influenza. Among the recommendations: chew food carefully and avoid tight clothes and shoes. Alfred Crosby, in “Epidemic and Peace, 1918,” his definitive history of Spanish influenza, observed that if influenza could have been smothered by paper, many lives would have been spared. The Committee of the American Public Health Association (A.P.H.A. ), believing the disease extremely communicable, strongly advocated legislation that would prevent the use of common cups and utensils and would ban public coughing and sneezing. The A.P.H.A. implored the public to develop the habit of washing their hands before every meal and paying special attention to general hygiene. They cautioned that nervous and physical exhaustion should be avoided and encouraged exposure to fresh air. A more controversial method of flu prevention, disputed by the A.P.H.A., involved gargling with a variety of dubious elixirs. Various physicians advised rinsing with everything from chlorinated soda to a mixture of sodium bicarbonate and boric acid. 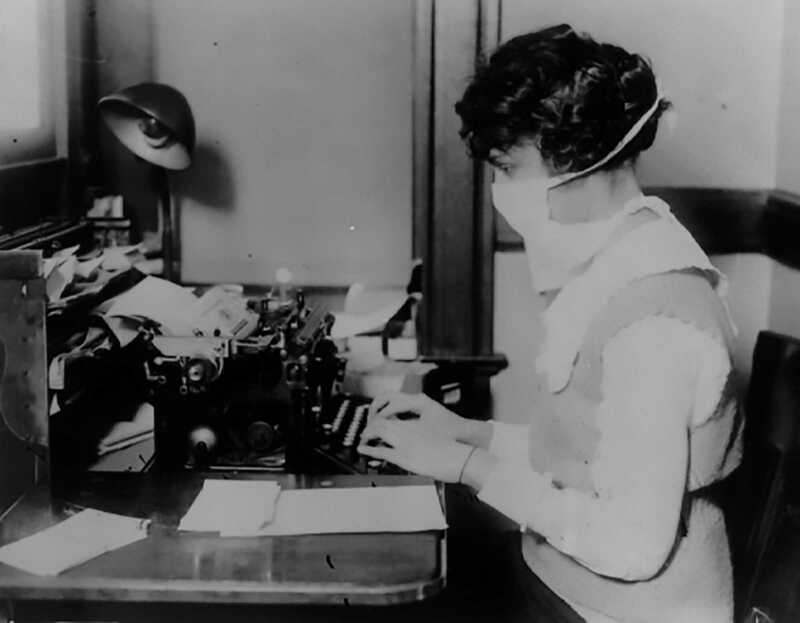 Efforts to get the word out to the people concerning influenza, as ambitious as they were, still left whole sectors of the population in the dark. Citizens of rural outbacks, especially, found themselves relying on folk remedies to fend off or cure the flu. Tales abounded of mothers insisting that their children stuff salt up their noses and wear goose grease poultices or bags of garlic-scented gum around their necks. For some, onions were looked upon as a potential savior. A Pennsylvania woman boasted of serving up onion omelets, onion salads, and onion soup with every meal. Not one of her eight children contracted the flu. Meanwhile, a four-year-old girl from Portland, Oregon was said to have recovered fully from the flu after her mother dosed her with onion syrup and buried her from head-to-toe for three days in glistening raw onions. Those with an aversion to onions swore by a shovelful of hot coals sprinkled with sulfur or brown sugar, which enveloped every room in a noxious blue-green smoke. While evidence that any of these measures had any positive effect was anecdotal, they were in keeping with the belief that doing anything to fend off influenza was better than sitting idly by, waiting to become a statistic.